SCDF - California Real Estate Opportunities in 2014 "The Avengers vs. 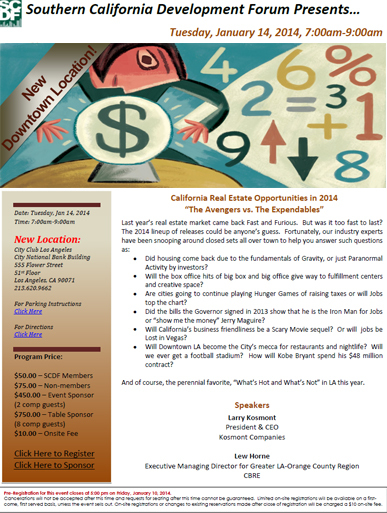 The Expendables"
California Real Estate Opportunities in 2014 "The Avengers vs. The Expendables"